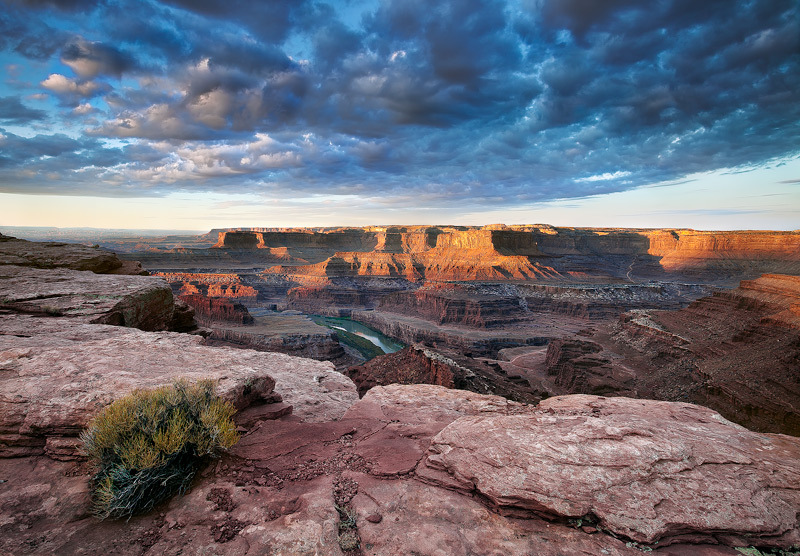 An almost unbelievable scene of clouds and light spill onto the gaping overlook of the meadenering Colorado River near Dead Horse Point. The park gets its name because it was used as a natural corral by cowboys decades ago. The plateau is surrounded by sheer cliffs two thousand feet high, with only a narrow stretch of land. Wranglers used this to keep rounded up wild horses from running away. Legend has it that one group of horses was inadvertently left behind and eventually died of thirst. Photo © copyright by Michael Greene.